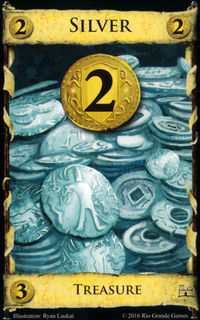 [All cards or some subset of cards] (including cards in players' hands) cost less this turn, but not less than . 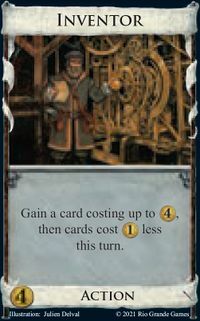 Reducing a cost in does not reduce a cost in or . 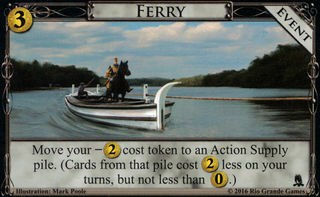 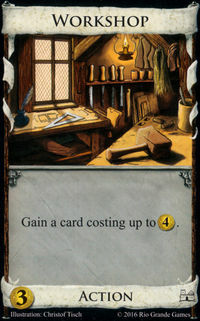 Reducing the cost of cards does not affect the cost of Events or Projects. 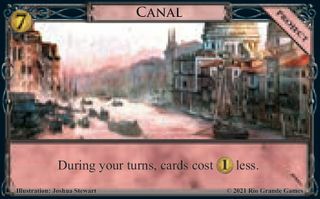 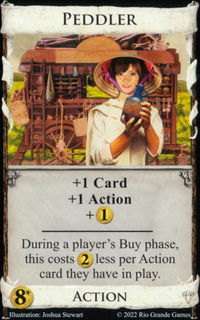 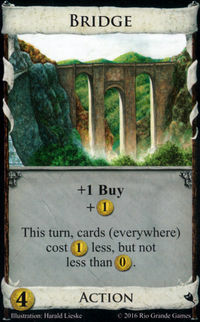 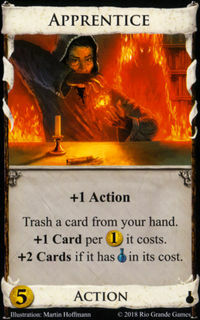 Most cards that reference a specific cost in do well with cost-reducers, as most such cards use the specific cost as an upper limit. 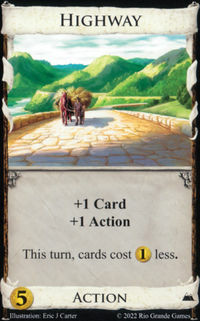 For example, Workshop can gain any card costing up to ; without cost reduction, this effect is rather weak, but with four Highways in play, a Workshop can gain Provinces. 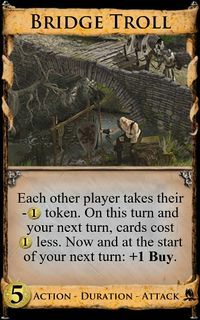 On the other hand, cards that give a scaling effect per cost in of another card (most often trash for benefit cards) will do less well with cost-reducers, as their effect will be diminished, and cards that reference a cheaper card will give no effect if their cost has been reduced to . 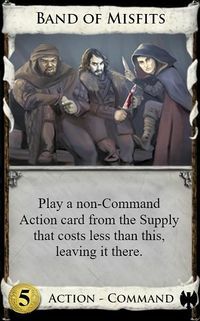 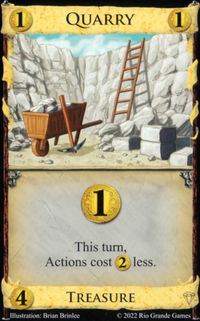 For examples, trashing a Silver to an Apprentice when you have Princess in play will only draw you one card, and with five Highways in play, Band of Misfits can't do anything. 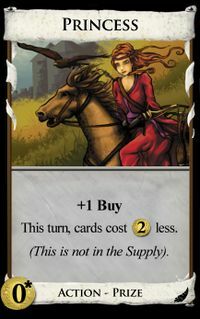 Since cost reduction affects cards but not Events, it is less useful for strategies that depend heavily on buying Events (or Projects).